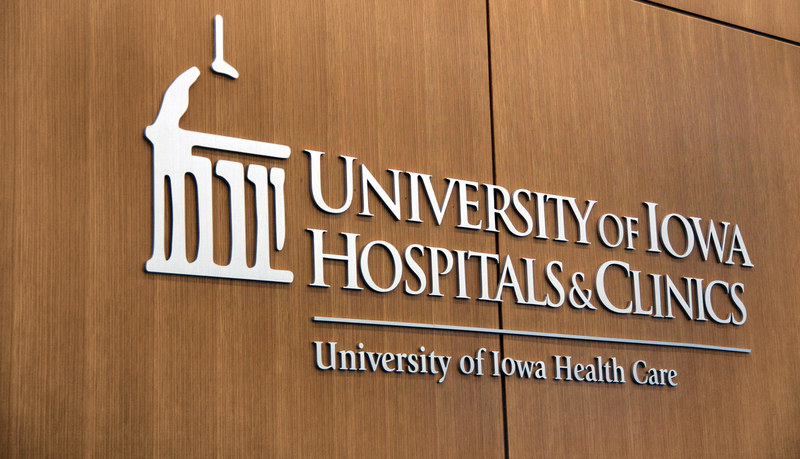 The Iowa River Landing Clinic was an offsite, multi-story specialty clinic that the University of Iowa Hospitals & Clinics (UIHC) built in Coralville, IA to lessen traffic at the main facility. ASI, Iowa worked with UIHC early in the project and UIHC hired Gensler out of Chicago to design the signs for the project. ASI worked with Gensler and a UIHC committee to participate in their design process to assist with product, material selection, and sign construction to best implement Gensler’s design and vision for the sign system. ASI recommended the Venus product line as a solution. Gensler liked the sleek look and flexibility that Venus offered, which enabled implementing environmental graphics design elements used throughout the project. ASI also provided input and direction on modification required to the design in order to meet ADA guidelines. Gensler developed an EGD program that used a different color graphic on each floor. 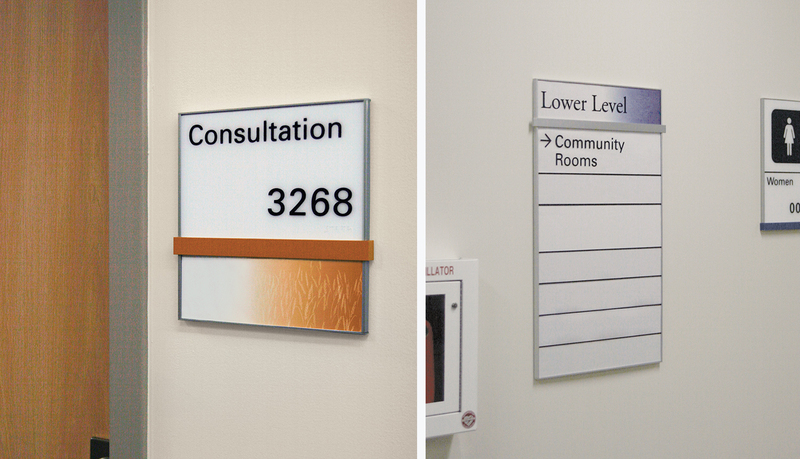 Each floor’s different gradient colors were challenging both in producing signage and replacing signs at a later date when needed. 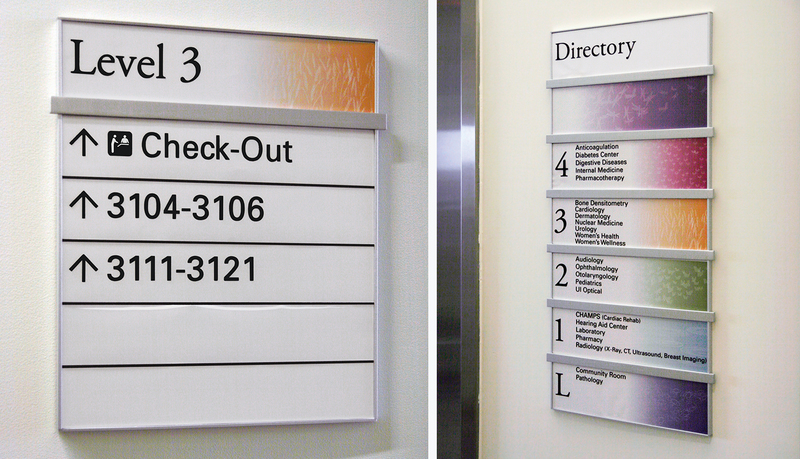 UIHC wanted to ensure that signage could be updated easily and Venus was a logical solution. Venus worked perfectly for the wayfinding as well. 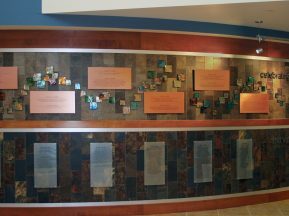 ASI, Iowa designed a static size frame that was customized with a different color scheme for each floor to assist with wayfinding. 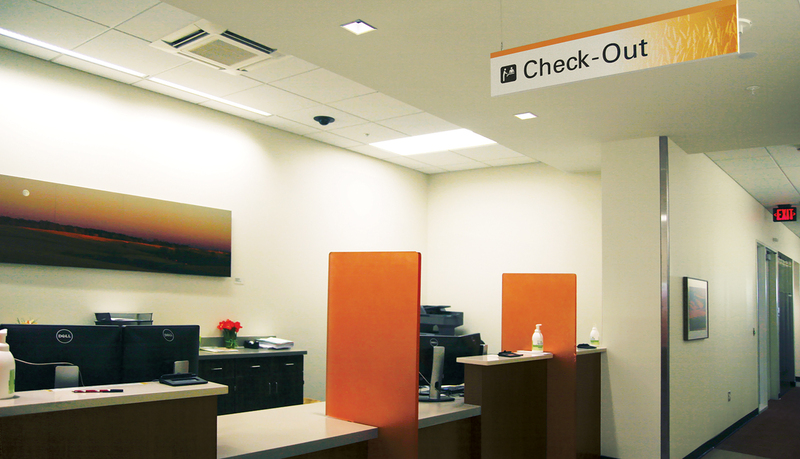 ASI used the lens on the Venus system as a gradient color detail along with an accent bar for room signs. 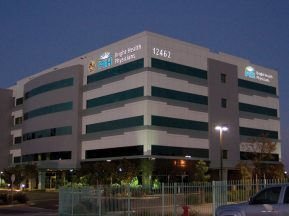 The signage color scheme tied into the architectural color palette used throughout the project. 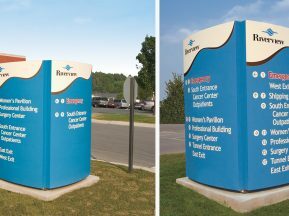 The Venus lens allows the client to update wayfinding signage by reordering new lenses as needed. UIHC loved the sleek, low profile look of Venus as well as having the ability to maintain most of the signs on their own. 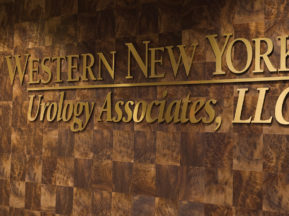 Mirtec provided the Venus extrusions and ASI produced the ADA panels and printed the gradient backgrounds.